Zengbo is one of well-established polar fleece blanket manufacturers in China since 2008. We provide professional polar fleece blanket OEM and ODM manufacturing service for global customers. If you’re looking for a reliable custom made polar fleece blankets supplier to promote your business or advertise your brands, contact us right now! Polar blankets listed below are some of our past work. 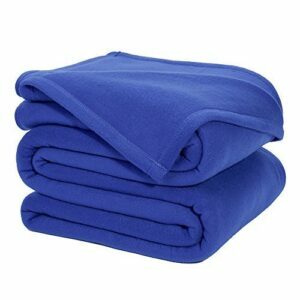 Main blanket designs: solid color, mixed color, permanent printed, and custom logo embroidered polar blankets. Clients can fully customize the design, color, size, weight, printed pattern, company logo, private label, hang-tags, packaging, and shipping of the custom polar fleece blankets based on their personalized needs. 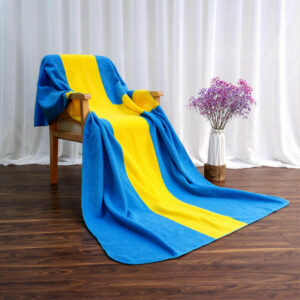 Nowadays, polar fleece throw our blanket provided are quite popular in the USA, UK, Canada, Australia, Korea, Japan, India, and other countries. Available colors: white, black, blue, green, gray, dark, red, light pink, rose red, orange, camel, coffee, yellow, purple, brown, pink, etc. Available printing: flower pattern, animal pattern, cartoon pattern, scenery, food, photo, building, letter, painting, character, plaid pattern, and more customized patterns. 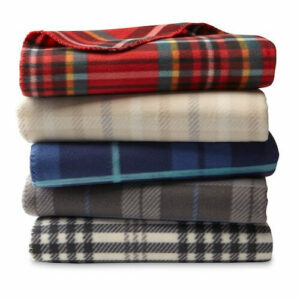 Available fleece throw sizes(cm): 50 X 70, 120 X 150, 127 X 152, 130 X 150, 140 X 180, 150 X 200 and more custom size. Suitable for baby, children, teen or adults. Edge finishing: Folded edge/whip stitching/piping. Features: Anti-pilling, soft, warm, fashionable, affordable, lightweight, attractive printing, durable, perfect for daily use and any style of decoration. Quality Assured. Our testing laboratory will carefully check the fleece blankets on size, weight, color fastness, fabric strength, and other parameters. 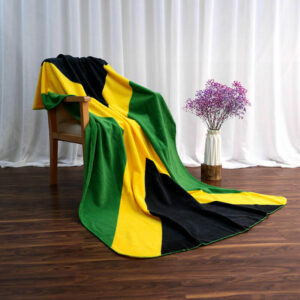 We are also serious about the material used in our blankets manufacturing, and we source only high-quality raw materials from the vendors. Further, we follow stringent quality measures throughout the polar fleece blanket production. Competitive blanket factory price: Zengbo polar fleece blanket manufacturer want to help our clients save money and effectively promote their brands or business by reducing the distance between our manufacturer and customers. Dear Friends, If you’d like clarification about our custom polar fleece blankets bulk manufacturing service, please feel free to let us know! We’re on GMT +8 and reply to all emails within 12 hours. ZengBo, focused on the fleece blanket, Polyester shower curtains, and bath rugs since 2007. 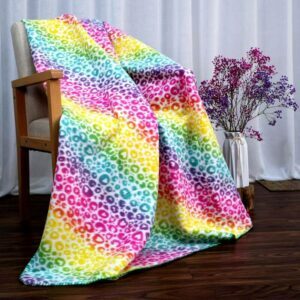 The main products include polar fleece blankets, flannel blanket, sherpa blankets, polyester shower curtain, and custom printed fabric bath mats. Zengbo manufacturer has 10+ years of experience serving blanket, shower curtain and mat importers and brands. Custom options: design, printing, size, color, logo, labels, hang-tags, packaging, etc.